DROMANA have bounced back from their shock defeat last week in stunning fashion, hammering Langwarrin to book their spot in the Grand Final. The Kangaroos were put on the backfoot early by a fast starting Dromana. Langwarrin could not register a score in the first quarter, and could only manage one goal in the second. In that time, Dromana piled on ten goals to take a 58 point lead into the half time break. 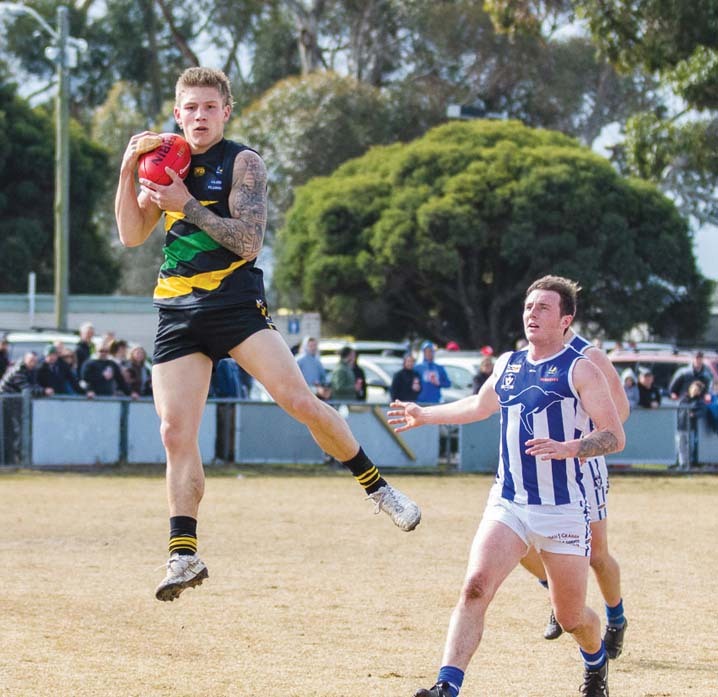 The Kangaroos needed everything to go their way, but Dromana were proving far too good, piling on another seven goals to zero in the third term. Sitting over 100 points up with a quarter still to play, the Tigers could afford to kick their feet up and make sure their bodies were ready to go for next weeks Grand Final matchup. The final siren could not come soon enough for the Kangaroos, as they eventually succumbed to a 22.12 (144) to 4.6 (30) win. Dromana were helped to their win by an even spread of goalkickers, with Sam Fowler and Ben Holmes the most prolific among them with three goals each. The win sees the Tigers advance to the Grand Final, where they will meet Red Hill in a rematch from last week. Dromana have lost just two matches all season, both against Red Hill. The Grand Final will be played 2pm Saturday at Frankston Park. The win capped off a big week of events in Division Two, with Hastings also causing a stir by signing former Coleman medallist Brendan Fevola for the 2019 season.